This project in Petaluma situated on a large corner lot was more or less a clean slate after the initial clean-up. 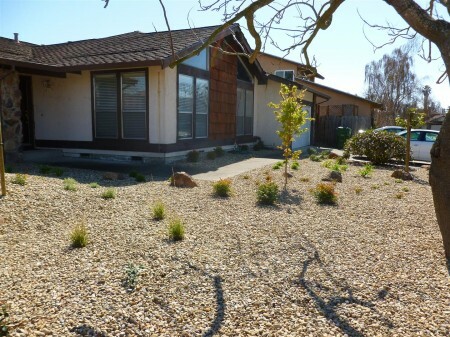 The front yard layout focused on a low maintenance installation featuring grasses and flowering perennials, accented with Sonoma Fieldstone boulders and Trinity Gravel Mulch. 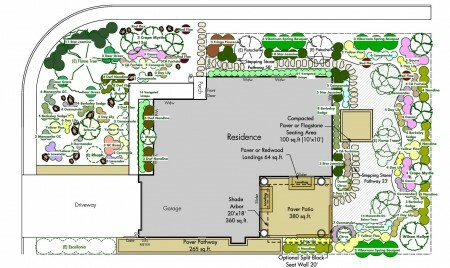 The back yard, which is still in design development, has a series of linked spaces and patios, with a more formal planting layout.